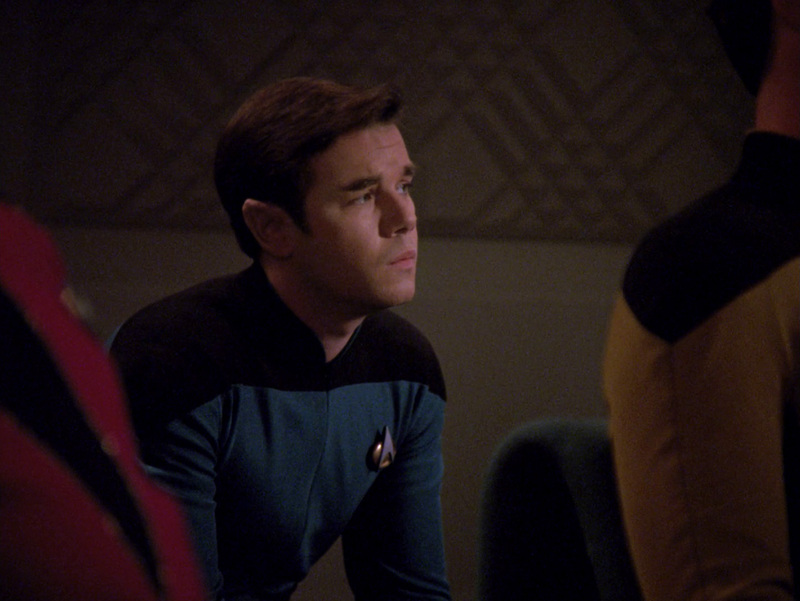 “The Drumhead” is an iconic episode of TNG because it powerfully addresses issues that lie among the basest instincts in human nature. Although “The Drumhead” is an allegory for McCarthyism in the 1950s and witch hunts in general, I watched the episode as a kid and understood the message of the story was that if you seek out enemies you will find them, ultimately by creating them. A recent watch of the episode as an adult, in my 30s, during one of the most politically unstable time periods I’ve experienced, was extremely disturbing. Xenophobia has taken center stage over the past year. In “The Drumhead” we see xenophobia illustrated with the case of Simon Tarses who is ‘outed’ as having lied about his Romulan ancestry to Starfleet. According to Admiral Satie’s trial on the Enterprise, he would be guilty of being an enemy of the Federation due to his bloodline and the status of the Romulans as a current enemy of the Federation. One thing that stuck with me in this episode is that Tarses would always be an outsider. As if Star Trek was saying, at least on some level, that there was nothing he could do to be trusted by the highest-ranking officials of the Federation (never mind the general corruption of the highest-ranking officers and the fact that TNG admirals are BAD). The people around Tarses stood up for him, as in, “hey, we know this one, he’s cool”, but when his identity is seen on paper, he is automatically suspect. The political climate undermines any sense of community. The intense sense of mistrust that surrounds a species that is considered an enemy is an allegory for how people are treated today. This is kind of bonk bonk on the head, but to keep a group of people in a state of fear is to control those people. This is exactly what Admiral Satie tries to do to the Enterprise. This is exactly what politicians do all the time. We don’t always have a Captain Picard around to remind us of what the truth is. The initial U.S. travel ban was issued for Iran, Iraq, Libya, Somalia, Sudan, Syria, and Yemen, on January 27, 2017, stating that Muslims are dangerous. The ban was issued as an executive order to prevent terrorism. This kind of thinking, that blames certain groups is not just erroneous, but contagious. The ban has been struck down in court three times, and is gearing up for a fourth, as I write this. This has been a tough year to be Iranian-American. I was beginning to feel like I’m living in my own personal witch hunt. This was and is a scary time for all minorities, academics and free thinkers. I stopped sleeping, it was hard to eat. I am not even sure how I made it through my semester. I’ve never been that scared in my life. Finding a direct parallel to my life in a Trek show, when I could barely find a similar story in real life was a revelation as an adult. To be part of a minority that is vilified on an epic scale has been difficult to square with reality. Iranians are deeply hated in America due to endless propaganda for nearly 40 years. This is the effect of a cold war between the United States and Iran after diplomatic ties were broken in 1979. There are major consequences for diplomatic relations being severed, the least of which include the separation of families and the villainization of the perceived enemy (on both sides). Before the 1979 revolution, politics and discourse between Iran and the US didn’t centered around religion. It still doesn’t. It is a representation of a cultural and racial tug of war. One thing I keep in mind when I hear about the so called “Muslim ban” is that it is about location, resources and ethnicity–not just religion. It is kind of hard for me to wrap my head around how this kind of discrimination is happening in a post-scarcity economy in Star Trek. 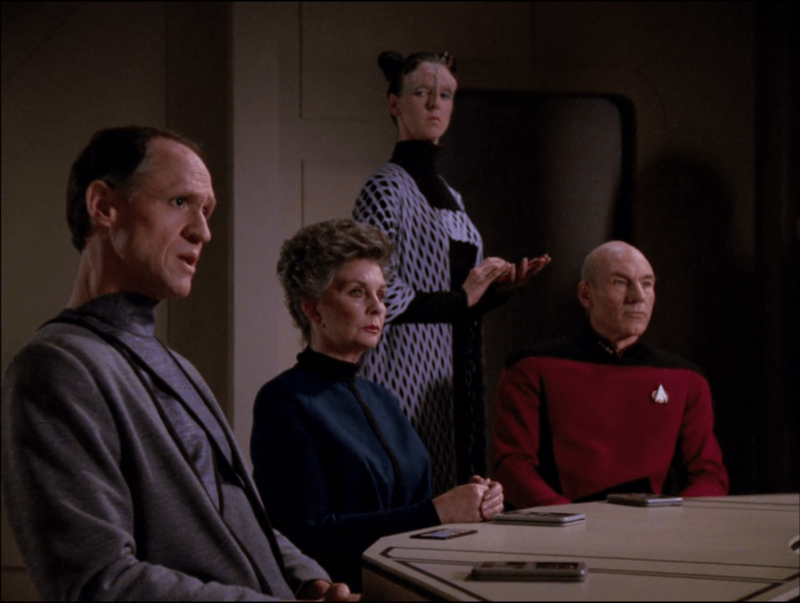 In the Star Trek universe, the federation is in a cold war with the Romulans. The Romulans take the form of the “other” and embody the fears of the unknown, because that is the single scariest thing about them. Will the “other” really be that scary in the future? Don’t we get to move past this? I wonder if Simon had to keep his identity hidden the same way I did when I was a kid. I am not open and upfront about my heritage because I feel tremendous anxiety when I tell anyone. I’ve only recent started to figure out how to tell people, sometimes. Kind of. As a child I was told that if anyone knew about my identity that they might try to hurt me. Maybe that is true. Maybe not. Although it was not my choice to hide my ethnic identity, I saw the reason for it for the first time because of the travel ban. I saw how dangerous my identity could be to myself and those around me. Even now, when I divulge this information, I worry about it constantly. I’ll probably be up all night worrying about this essay. I don’t know if this is what a Cold War can do, but that is the feeling I get. It feels isolating and terrifying all the time. He is, just like I am, passable. He could pass for Vulcan. I pass as vaguely ethnic, and usually Jewish (which is not always safe either). I can’t even begin to explain the additional danger of being misidentified. This is not an enjoyable way to live, paranoid, careful about who you reveal your identity to. And in my mind, Simon would have grown up this way too. His motives were only as deep as protecting himself and it was very likely something he’d done all his life. Though let’s be clear, I don’t agree with hiding it. I bet Simon didn’t either. 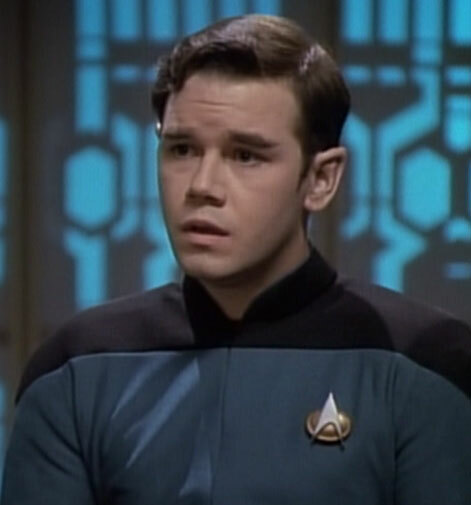 I wonder if he would have been allowed to serve in the Federation at all if he had been honest. The indications I get from this episode is that he wouldn’t have. Simon Tarses is living the embodiment of my worst nightmare. That I’ll be found out. That I’ll be perceived as an enemy because of who I am. Because I look “ethnic,” because I am in academia, because I am a woman. Because I stand up for my friends who are mistreated. Let me be clear, I have never fit in. I cannot blend. I can wear muted colors and there is no pride parade for being Iranian (that I’ve ever been invited to) but I, like Simon Tarses, can’t sink into the background, even if I want to.